Nine months after its official Grand Opening, construction in Paradise Palms was in full swing. Over 200 homes had been sold at a rate of five homes per week, generating $6,000,000 in sales – the equivalent of $46.3 Million in 2013 dollars. 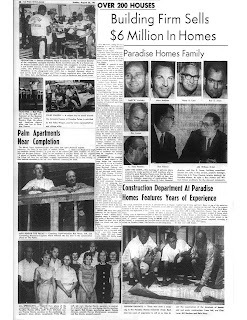 Featured in these August 1962 Las Vegas Review Journal features were the development team – Irwin Molasky, Merv Adelson and Harry Lahr, the principles of Paradise Homes, Dan Palmer and Bill Krisel, the architects who gave Paradise Palms it’s signature look and C. Tony Pereira, the interior designer behind both the Palmer & Krisel-designed Paradise Homes models and the Americana models. 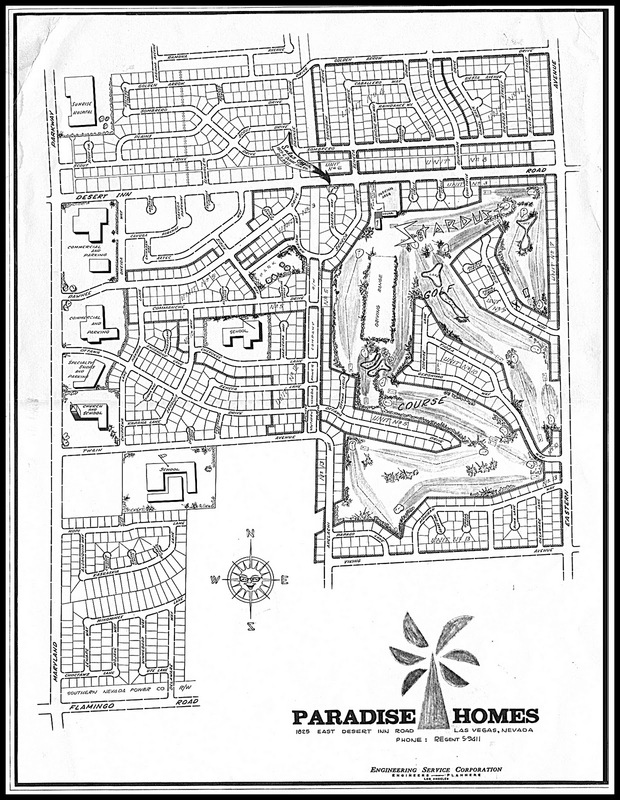 Members of the construction team were also highlighted, including all the support staff of Paradise Homes, as well as former major league baseball player Donald O’Flaherty, the original recreation director of Paradise Palms, and standing in the shadow of the signature folded-plate covered walkway of the Stardust Country Club is Head Golf Pro Bob Wagner. Even the cleverly-named Paradise Homes Folks Wagon got a mention. The second page of this article features three couples who helped with the day to day community operations. 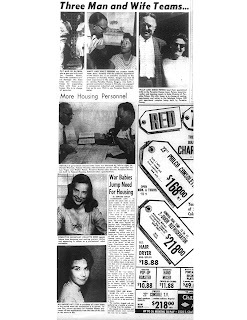 The image of Pat and Ed Raybon of Paradise Homes is taken against a backdrop of pristine decorative concrete block, while in the background of the photograph of Mary and Walt Seegers is a fuzzy rendering of what appears to be the Clubhouse of the Stardust Country Club. These images offer a significant historical look at the team of people who helped shape the beginnings of Paradise Palms.